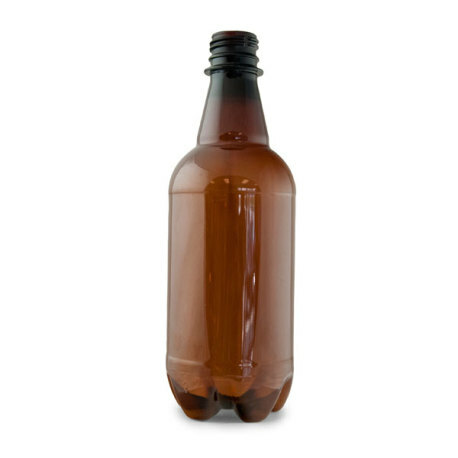 Amber PET bottles are the perfect bottles to put your naturally carbonated root beer and sodas in. The plastic can take the extra pressure and carbonation that give sodas their signature fizz. And because it's a high quality food grade plastic instead of glass, there's no need to worry about bottle bombs! These take PET caps, which are extremely easy to put on! Bottles can be washed, sanitized and reused, though new caps will be needed each time. Soda tends to be more highly carbonated than beer, so to bottle it and serve it at the correct carbonation levels, you need a bottle that can take the pressure without breaking. These PET work great for root beer and sodas of all kinds. Don't forget to get the PET caps to go with them though!